Taking Loss on New Home Sales? That is a 14x70 home asking $29,000 and in Minnesota you need 30lb roof snow loads and set the homes on expensive concrete piers. I have purchased 16 x 66 box size Clayton Pulse model homes from the factory from mid to upper $30,000 range and thats not including the $7,000+ for concrete piers and setting, $1,400 for skirting and install, and $1,400 for front and back stairs. Add in the 10% margin on sale that 21st Mortgage Cash Program charges and I am coming in at $50,000 + sale prices for these homes. Even higher when I add in a $2,000 central AC and the electrical hookup of the home. The community down the street which was owned by Frank and Dave was selling Clayton Pulse homes for $38,000 before they sold it to a new owner this Winter. That is about what I was paying the factory for just the home. Last example here is a 16 x 80 Brand New Clayton for $39,000. No way could I offer this home for anywhere near this cheap and not take a $15,000 loss. Very quiet, no one has anything on this issue? For our Mobile Home Parks we have not purchased “New” Mobile Homes. 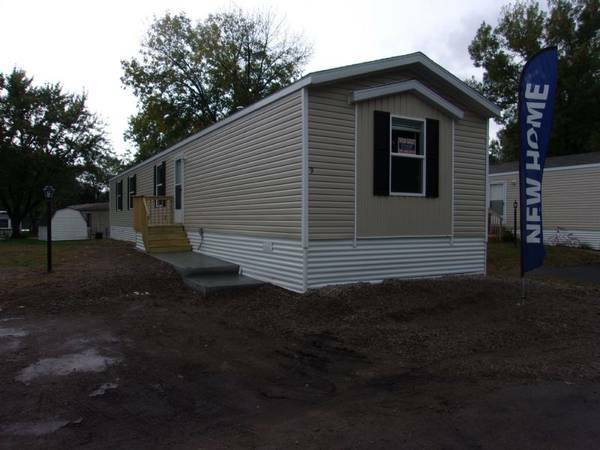 However, we have purchased “Used” Mobile Homes which we then renovate. We are happy to sell at “Cost” (what we have in it). However, if it seems like we will lose money on selling the Mobile Home (Cost of Mobile Home), we typically Rent the Home with the hope of selling it in the Future (hoping the Delta on the Mobile Home Rent and then the Selling Price = Cost Price) to a “Tried & True Reliable Tenant”. Your Setup Costs are larger in comparison to our Setup Costs. As per your post since you are in the North in Minnesota, you need “expensive concrete piers” = $7,000. In the South our area does not require “expensive concrete piers”. In addition our Front & Back Stairs = $1,000 and Skirting & Install = $1,000 (just a little less than yours). Since you purchased “New” Mobile Homes, I can understand your desire to “Sell Now” while everything is New, Bright & Shiny. However, I agree with you that I would NOT want to take a $15,000 loss. Perhaps the Community down the street was able to get a bit better price structure on the New Mobile Homes & Setup or perhaps the Community down the street was able to take the loss just to increase the Revenue and the Value of the MHP.